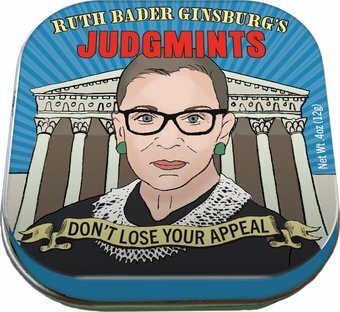 Supreme tin of breath mints. Oyez! Oyez! Oyez! All persons desiring breath that is Honorable are admonished to draw near and give their attention, for these mints are Supreme! Keep one under your robe. Keep a spare in your chambers. Flavor of peppermint. .4 oz. (12g).